We'll begin with a tea flight through 4 different types of high grade teas, brewed with a gong fu cha style where appropriate. 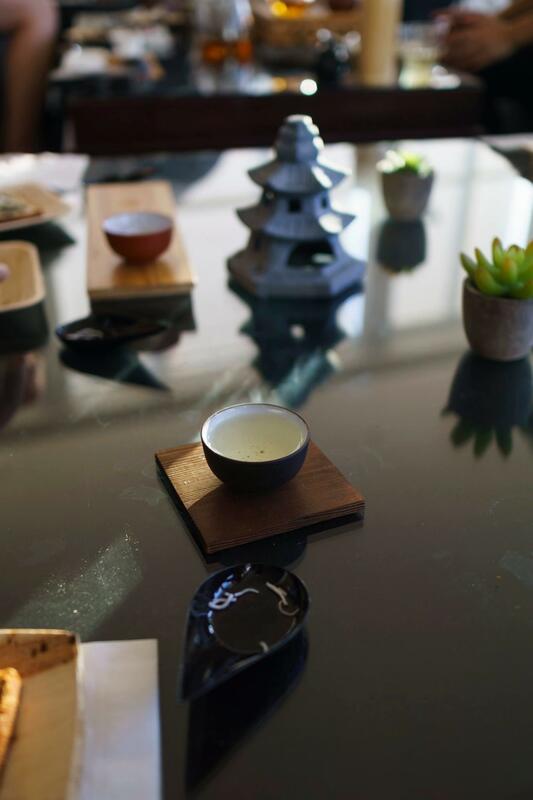 Our Tea Expert in Residence, Yang Hong, will talk through the history, health, and flavor components of each tea along with special tips on how to create a relaxing ritual for self-care, using tea as an example. Guests will then get to create their own custom blend of tea to take in a glass bottle. We'll be playing around with the flow of pigment in water. Guests will get to design their own bookmark, card, or art piece using these watercolor techniques and are encouraged to experiment with various other mixed media. Guests will be able to take home their piece, whether for gifting, decor, or simply a jumping off point for practicing creativity and play. Your ticket includes 4 high-grade tea tastings and all watercolor art materials provided at the event, with your own custom tea blend and watercolor artwork to take home for boosting wellness and creativity. Throughout we’ll have a mild aromatherapy diffuser running along with some snacks and traditional Tibetan flute music for a relaxing setting. Tickets will be limited for an intimate and cozy environment designed for us to recharge and connect with our inner creatives. *This event welcomes self-identifying women and men, gender nonconforming, queer, and transgender individuals. We are changing the way women live, work, and learn from the inside out. We're changing the way women live, work, and learn from the inside out. Our mission is to change the way women live, work, and learn from the inside out. All self-identifying women, femmes, gender nonconforming, queer, and transgender individuals are welcome to attend.